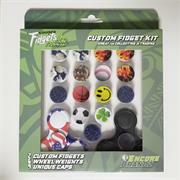 Custom Fidget Kit! 2 Custom Fidgets 6 Wheel Weights 9 Unique Caps. Kits May Vary.